Dr Jacqui McRae is a Senior Research Scientist at the AWRI, where her research focus is on wine texture. She attained her PhD in natural products chemistry from Swinburne University, Melbourne, in 2008 after completing a degree in chemistry with first class honours in biotechnology. Jacqui joined the AWRI in 2009 as a Postdoctoral Scientist and worked on wine tannins and how their structure relates to astringency. She became a Research Scientist at the AWRI in 2012 and a Senior Research Scientist in 2017, a role in which she coordinates several different projects associated with wine macromolecules. Her key areas of research include the matrix effects on white wine haze formation, better ways of predicting haze and the molecular drivers of wine texture. Jacqui was named the Researcher/Innovator of the year in the 2018 Australian Women in Wine Awards. She is a keen science communicator and wine enthusiast. 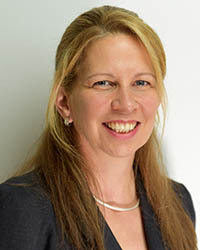 Jacqui will be addressing New techniques and technologies for protein stabilisation of wine on Wednesday in Session 10.